I guess I should at least post what the last week was like before we hit right into the results right? I tried to fit in more training in my last week, because it’s the last stretch right? But I guess I didn’t manage to really, as life likes to play up and take it’s little toll on you when you have fitness planned. Then there is also trying to keep up with a social life and having only particular matching calendars. Why is being an adult so hard? But seeing more people that I haven’t seen in a while and getting more comments really does help. It’s great to know that I have made progress in a matter of eight weeks, but my question is the maintaining now. I feel that keeping and maintaining the weight seems to be the hard part moving forward … Next challenge, hit me up? Anyways, it let this post match the actual headline. It’s true, you make mates. 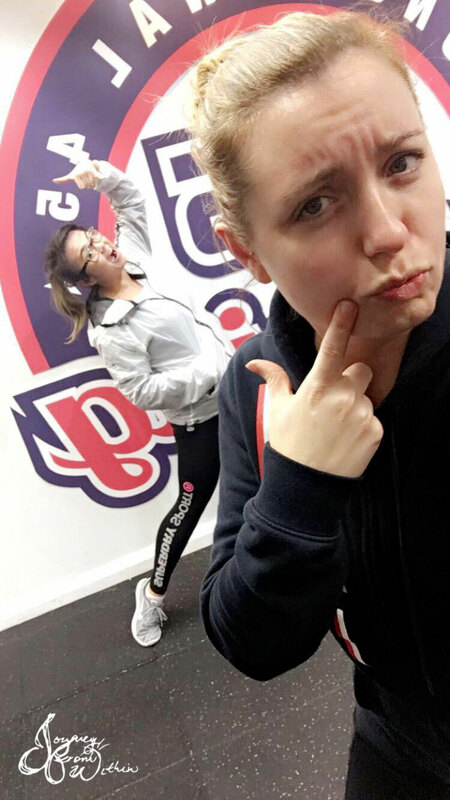 Here’s to the national selfie day with one of the many amazing trainers at my studio! And weigh-in day happens Monday, fingers crossed there are some good results I get in numbers! Don't be disheartened if numbers don't change much. Any little progress is a progress. I did a 10 weeks challenge and guess what, while I lost a tiny little bit of weight, I think it was 2 kg, it was apparently all muscle lost instead of fat. But I thought to myself, hey I lost some. Who cares what it is. It's a start and I learned few good things about myself during the challenge. It was not waste of time, it was a self-discovery of what my body can actually do. From then on I just did my own trial and error.